(DALLAS, TX…April 25, 2016) – Multi-award winning gospel artist and reality TV star Erica Campbell brings her voice, inspiration, charisma and style to a new morning drive radio show syndicated by Reach Media Inc. in collaboration with Radio One. The new 4 hour show, Get Up! Mornings with Erica Campbell sets a new bar for morning inspirational radio. Erica’s fresh take on radio brings a diverse mix of gospel and inspirational music, star-studded interviews and practical principles to help listeners do what her mantra proclaims: Faith Walking. Love Talking. Joy Living. Erica, whose influence extends beyond the church to urban culture will have exciting new features to energize listeners to Get Up! The show will be syndicated nationally beginning May 10th from 6 a.m. to 10 a.m. ET. With nearly two decades in the music industry, Erica Campbell has repeatedly topped Billboard charts and won every music award possible as a member of the dynamic duo, Mary Mary and as a solo artist. A devoted wife and mother of three Erica shares her life with the world on her televised reality show, Mary Mary. No stranger to the public-eye, the social media maven has over 2 million followers she personally engages daily with inspiration and pure fun. Get Up! Mornings with Erica Campbell is the next natural progression of her career to extend her audience and share the life, music and inspiration that makes her –ERICA. When you hear the name Darlene McCoy, the song “I’m Every Woman” would be the ideal preamble. She bears a plethora of titles in an attempt to define her. Mother, National Recording Artist, Radio Personality, Actress, Author, Songwriter, Mentor, Entrepreneur, Comedian, Speaker; and it is evident that we have not witnessed all that God has placed behind this bright shining star of a woman! She has made an iconic stamp in the gospel industry from the launch of her career in music keeping us eager for her next creative move. Darlene McCoy was introduced to the Industry when she appeared on the Platinum Soundtrack of Tyler Perry’s first movie Diary of a Mad Black Woman with the powerful melodic hit song “Fallen in Love” from her Self Titled debut album that earned her 2 Dove Award Nominations. She released a single independently in 2011 called “I Shall Live and Not Die” that quickly raced up the gospel charts and landed in the movie “Somebody’s Child’ which features Lyn Whitfield and Michael Jai White. She is the first African American Female to have a nighttime syndication as she hosts the Nightly Spirit with Darlene McCoy, through Reach Media. She has developed her brand as the nation’s “Inspirational Girlfriend” where everyone endears her as “My girl Darlene McCoy “. Darlene is known for her bold and broad approach to controversial topics and she is spiritually centered with an undeniable anointing and call from God to reach her listeners. She makes cameo appearances periodically on the Nationally Syndicated “Rickey Smiley Morning Show” either singing the “Praise Break “ live in Studio, or giving an encouraging word for the day. Darlene has gained IMBD credibility as she has appeared on the sitcoms “the Rickey Smiley Show” and “In Sickness and in Health”. Darlene has also appeared in stage plays and is continuously developing her craft as an actress. She has released several short films and videos on YouTube that has gained well over a half a million views to accompany her hysterically hilarious Comedy CD called “Random Foolishness”. Random Foolishness which features parodies of popular songs like Beyonce’s “Irreplaceable” and her Hit “Take Me to Burger King”, a parody of Stellar Award Winning vocal powerhouse Tamela Mann. Darlene is Co-Founder, Writer and Co-Producer of Rickey Smiley’s Comedic Quartet group “Joe Willie and the Deuteronimaires”. Darlene McCoy is the Author of “Jenimac Moments, Inspirational Words of Wisdom” and the soon to be released “I Shall Live and Not Die-Survivor’s Manual”. She writes and inspires through Blogs and features these writings on her show with a segment called “Jenimac Moments” that touch the hearts of readers and listeners, as if they are in a one on one counseling session with Darlene McCoy. One could only conclude that she is empowered and equipped with God’s divine Grace as this single mother of three maintains a poised position as a multi-faceted, gifted, entertaining, ministering media mogul we richly adore! EDward Long is a true prodigy, whose multi-dimensional talents and alluring personality make him the eye-catching music artist, a 3rd generation minister, inspirational speaker and entrepreneur who is sure to motivate, inspire and lead “The New Skool” to live the “Good Life” through his leadership, his media and his music. Formerly known as Dirty Bishop and Young Dirty, ED has served as the Senior Director of the student ministry at New Birth Missionary Baptist Church; Host of The New Skool Live Radio Show formerly of Streetz 94.5fm in Atlanta, GA; Founder of The Conquerors Bowl Prostate Cancer Awareness Initiative; Stephenson High School Football Team Chaplain; In-Game Host for the WNBA’s Atlanta Dream; Former Host of The Inspiration Network’s The Mixx Masters Lounge Show; Music Recording Artist; DeKalb County Office of Youth Services program manager; Founder of Empowering Destiny nonprofit organization; Founder of Empower ATLanta ministry. 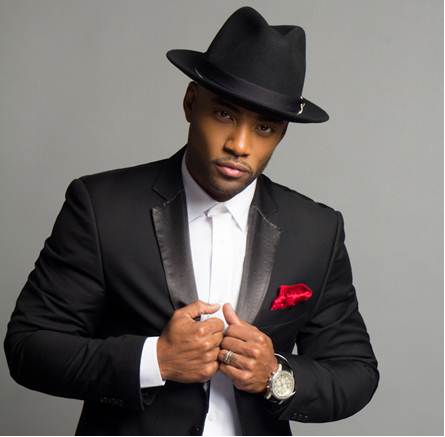 He is also a recipient of The Bernice King BE A KING Award, Atlanta’s Top 30 Under 30 Award, The Trumpet Awards Honorary Award, The Frank Ski Foundation Service Award and a 2006 Stellar Award winning song writer. Most recently ED made multiple appearances on the Oxygen Network’s hit reality television show the PREACHERS of ATLANTA. ED’s present mission is to empower people to reach their destiny. 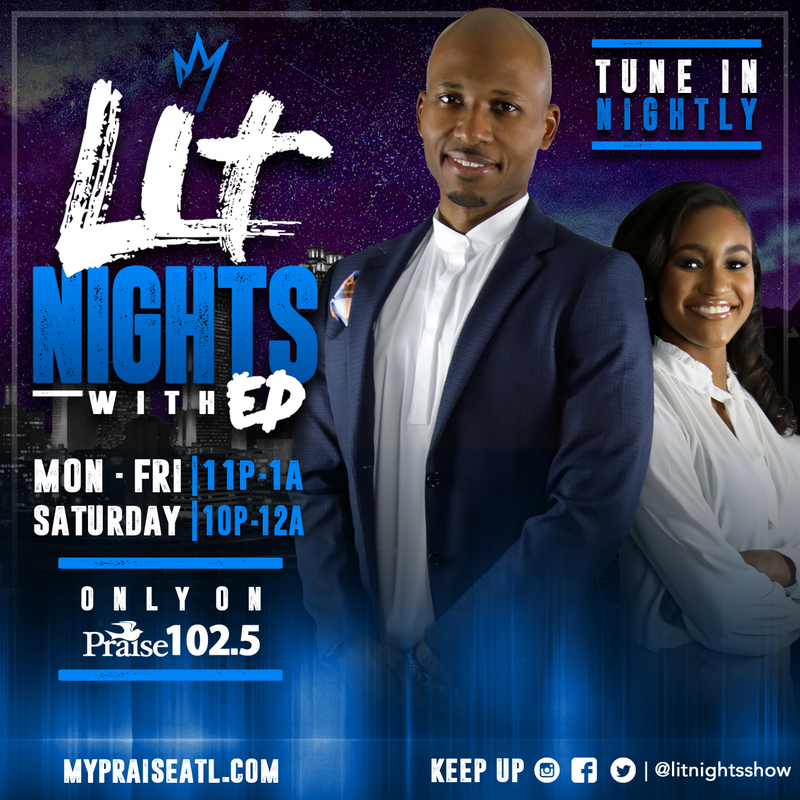 LiT Nights w/ ED airs on Praise 102.5 on weekdays from 11pm-1am and on Saturday nights from 10pm-12am. Bre Singleton is the young, multitalented, and ambitious new addition to the Praise 102.5 roster. She brings new energy to the airwaves and serves as the voice of the youth. A sporty, quick witted go-getter, her passion is helping to develop well-rounded individuals in the classroom as well as on the court/field. Bre is always in-tune with the latest in all things media, television, sports, politics, etc. Catch Bre on LiT Nights w/ ED on Praise 102.5 on weekdays from 11pm-1am and on Saturday nights from 10pm-12am.